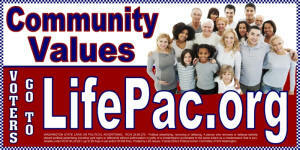 Dear Candidate, Life PAC asks that you consider using our website as a means of communicating with Southwest Washington respect-life voters on the issues important to them. You can do this by answering the survey questions found below, or instead you may prefer submitting a statement using some of the themes from the survey. Either way, you are providing an important service to voters by helping them make informed election decisions regarding respect-life issues. 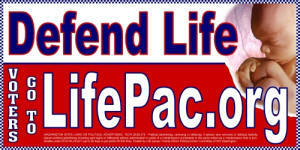 Protecting and respecting life is a winning cause as polls consistently show. We'll verify the authenticity of submissions received before posting. Please use your county's elections department registered email address if possible. Edits to refine your positions are always welcome, and you can ask to have your response removed at any time. We look forward to hearing from you.